People who are serious about improving their health by drinking better water find that there are two ways to go: Buy bottled water or invest in a water ionizer. Many brands of bottled water claim to be better for your health, but these bottled waters also cost more than a gallon of gas! 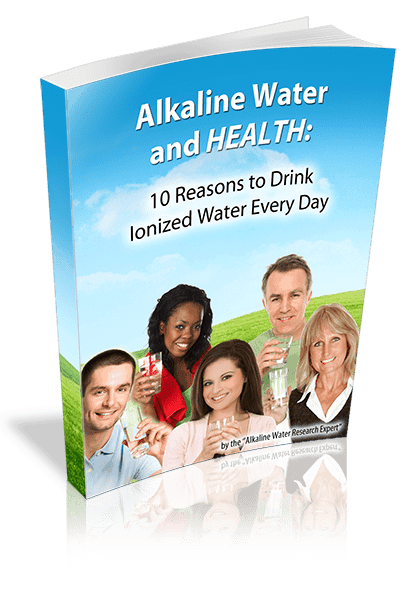 Water ionizers turn tap water into ionized alkaline water for just pennies a gallon. 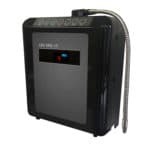 One thing you can know for sure, owning a water ionizer is much better for your financial health than bottled water. Bottled water typically costs more than $1 for a 16 oz bottle, which works out to a cost of $8 per gallon! 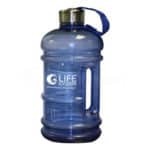 For health, a person needs to drink approximately six 8 ounce glasses of water per day, or four 16 oz bottles of water. A month’s supply of bottled water at $1 a bottle would cost $120! 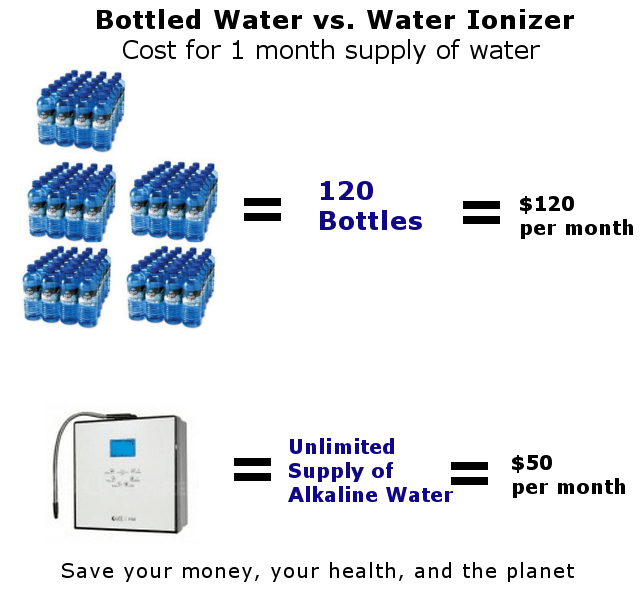 A water ionizer could be financed for a lot less than the monthly cost of bottled water. A water ionizer also provides an unlimited supply of healthy water, where bottled water runs out! From a financial perspective, owning a water ionizer makes a lot of sense. Another clear difference between bottled water and alkaline water from a water ionizer is the effect that drinking the water has on health. Plastic bottles leech a chemical called Bisphenol-A (BPA) into water. 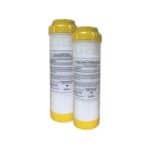 BPA is a potent hormone disrupter that has been outlawed in some countries. Most bottled water is actually nothing more than filtered tap water. Because of BPA contamination, drinking bottled water may actually be riskier than drinking tap water! Alkaline water from a water ionizer is made by filtering tap water, and then ionizing it using a process called electrodialysis. The health benefits of alkaline water have been proven by research, conducted mostly in Asia, which is why alkaline water ionizers are used as medical devices in Japan and Korea. One of the biggest problems with bottled water is that it has devastating effects on the planet. Plastic bottles are trashing the environment. Choosing a water ionizer over bottled water isn’t just good for your health, it’s good for the planet’s health too! We can make your tap water taste better, and be better for you. Find out what you’ve been missing out on by calling us today at 877-959-7977.